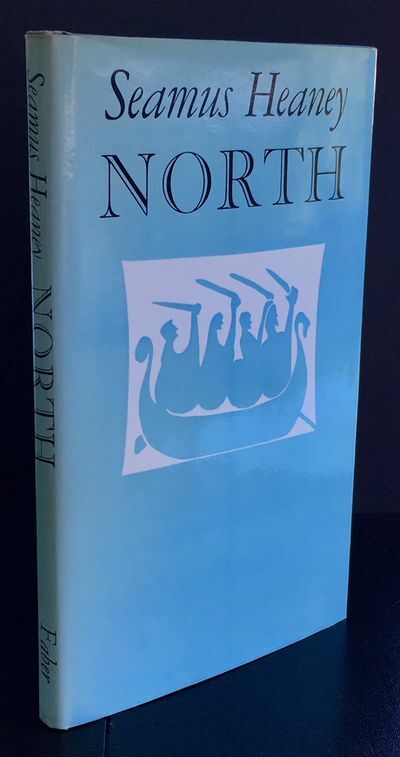 The First UK printing published by Faber and Faber in 1975. The BOOK is in Very Good++ or better condition. Light rubbing to the edges with the occasional light mark to the boards. Very early splaying to the outer board edges. The gilt titling remains bright. The usually encountering offsetting to the end papers with a few light markings to the rear end-paper. The WRAPPER is complete and is in near FINE condition. A hint of toning to the edges and a tiny rub at the upper spine tip. The wrapper looks very striking in the removable Brodart archival cover. The book has been Signed (without dedication) by Seamus Heaney to the first blank end paper. The late Nobel Laureate's fourth trade book of verse which is generally considered his scarcest collection. Collectible. Ashton Rare Books welcomes direct contact.